The current year is coming to an end. This year has been filled with a number of different festivals and many different artists have graced these stages to perform for their excited fans. 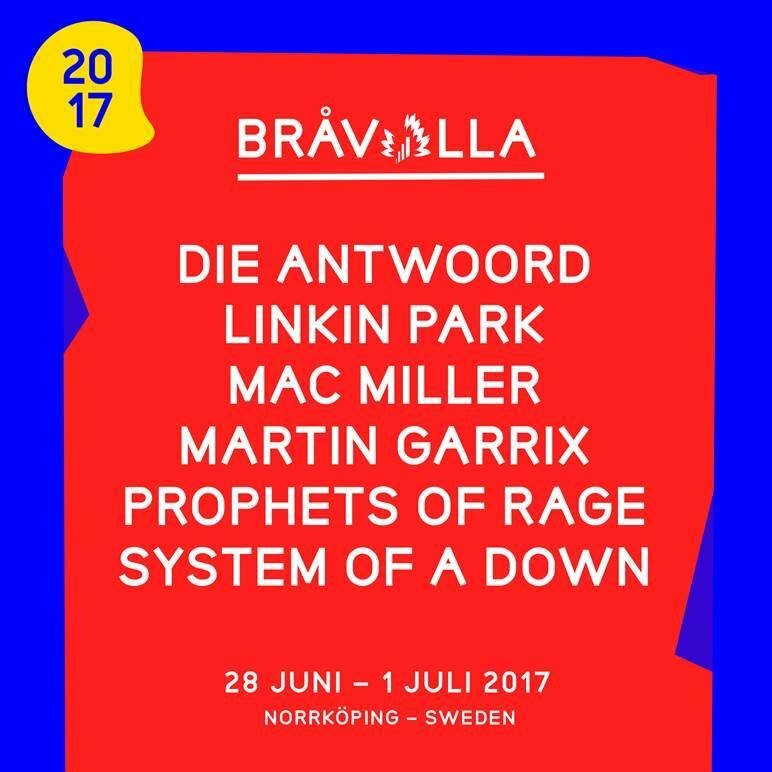 For the fifth installment of the Bravalla Festival, the lineup has been announced and it is far from disappointing. Over time interest in the festival has increased as can be seen from the attendance record being broken multiple years in a row. The 2015 Bravalla Festival saw performances from acts like Calvin Harris, Muse, Robbie Williams among others. The lineup for the 2017 installment looks to be just as exciting. For artists like Linkin Park, these types of stages are familiar to them. They are scheduled to perform at the Rock Werchter Festival in 2017. System of a Down is not a stranger to big stages either as they have announced tour dates for the upcoming years that include multiple festivals and a performance at the O2 arena.